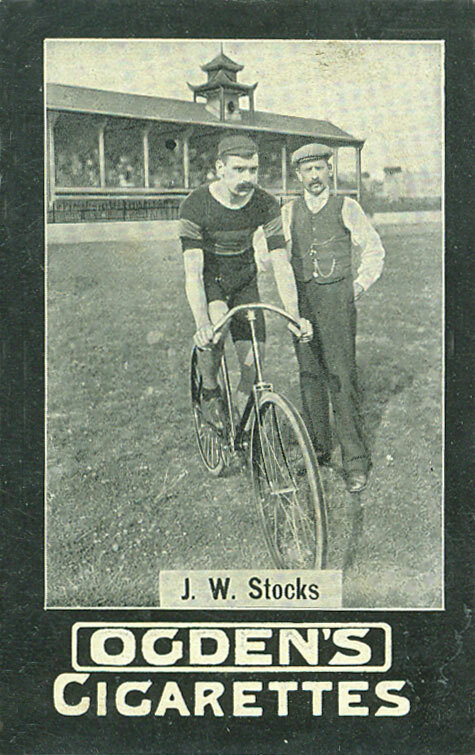 John William Stocks was the professional rider for Ariel in the late 1890's. 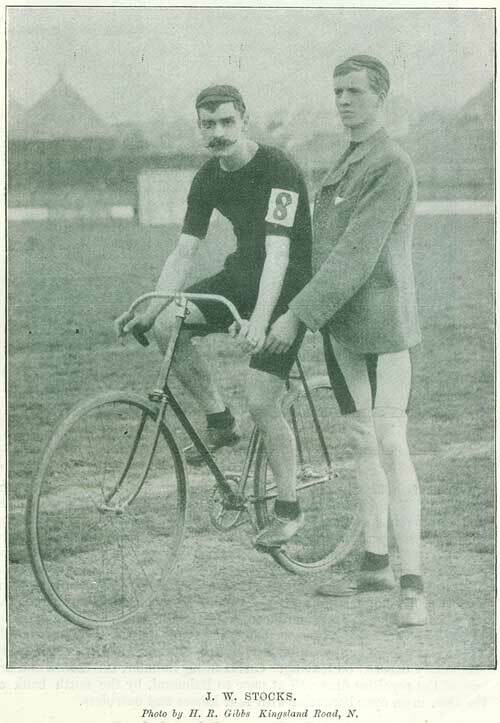 In 1897 riding with the Ariel pacers he broke all the cycle records from six to 32 miles inclusive and he also held the 1 hour record, cycling 32.75 miles. The picture below is an Ogden's cigarette card of Stocks on an Ariel racer. Later he was involved with the development of the Ariel motorised tricycle. In 1899 J. W. Stocks covered 434 miles on an Ariel tricycle inside twenty-four hours. When he retired he became a director of de Dion Bouton. "Much interest has been excited by the records of J.W.Stocks, the cyclist, who has won the Catford Gold Vase with a score of 296 miles 1715 yards in twelve hours, divided over three days."